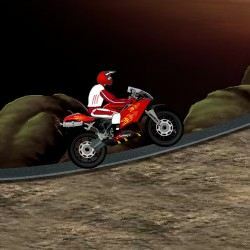 Navigate the obstacles on the motorbike without crashing. 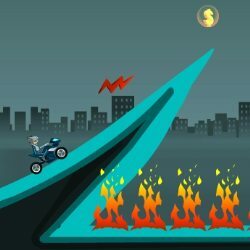 Try and see how quickly you can complete each level. Use the UP ARROW to accelerate, DOWN ARROW to reverse, and LEFT and RIGHT ARROW keys to lean backwards and forwards. 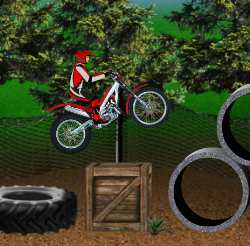 Click here to send Bike Trial 2 to your friends using your default email program.